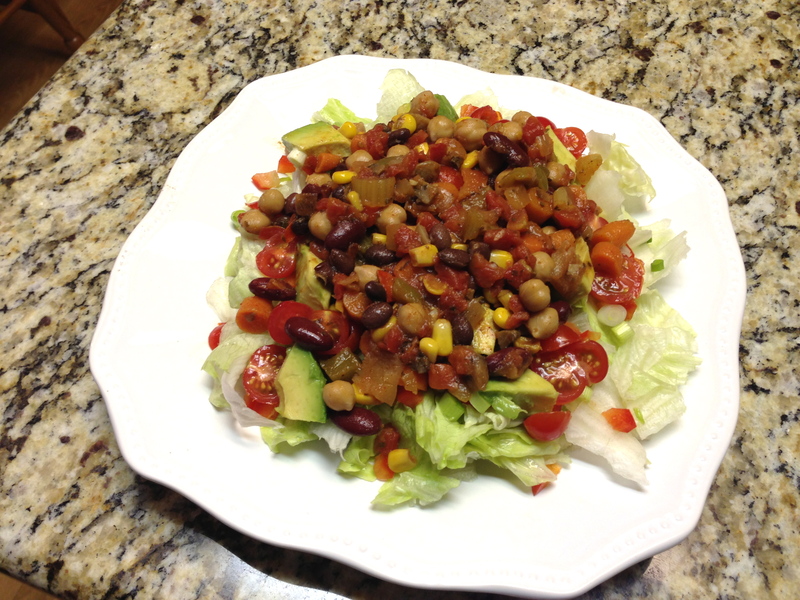 One of the staples in our household is vegetarian chili. I typically make two big batches and then freeze it in individual portions. 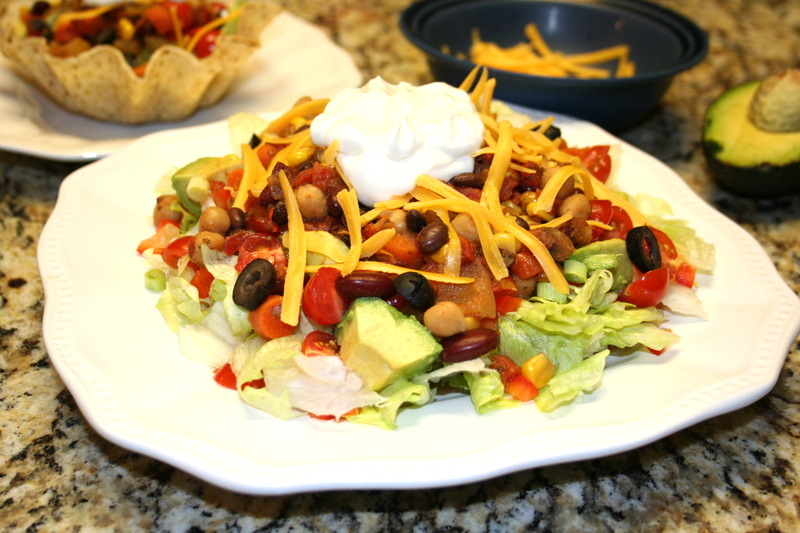 So this weekend when I was trying to think of something new and different to make, I had the idea of re-purposing my leftover chili to make a taco salad. It makes a very satisfying meal and is not too heavy. 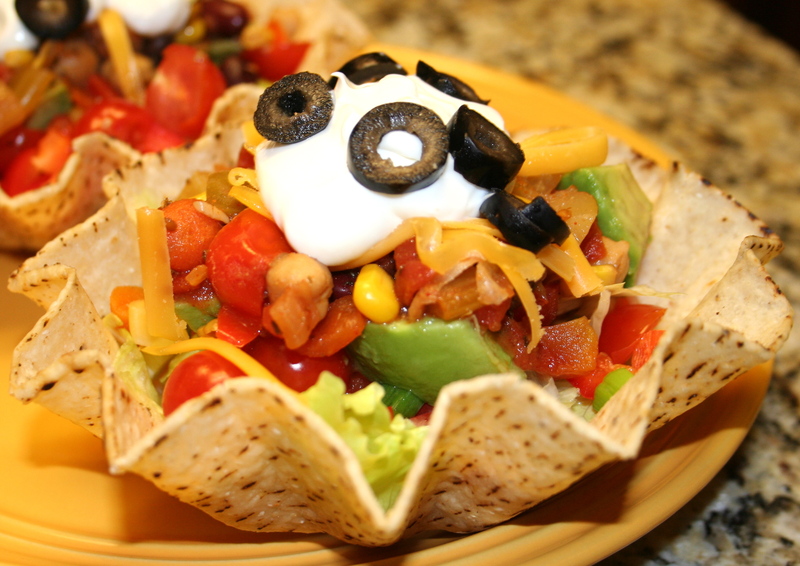 If you want you can serve it in a taco bowl. You can buy these in the mexican section of the grocery store or make your own by baking tortillas in a bowl shape. If you have an oven-safe bowl, place the tortilla in the bowl and bake it at 300 degrees for 15-20 minutes. The tortilla will harden into the shape of a bowl. 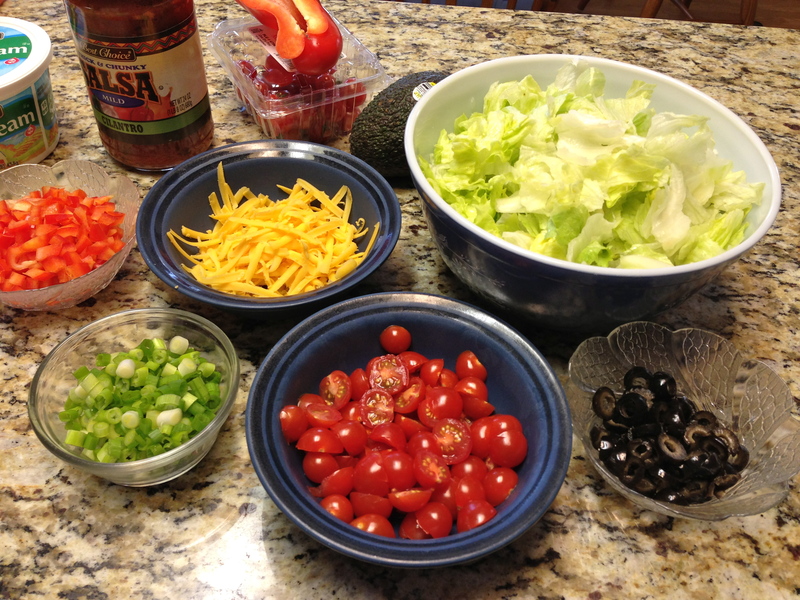 This salad is great without the bowl too though, so don’t feel like you have to have the taco bowl for your salad to be really yummy! Begin by preparing all your ingredients. 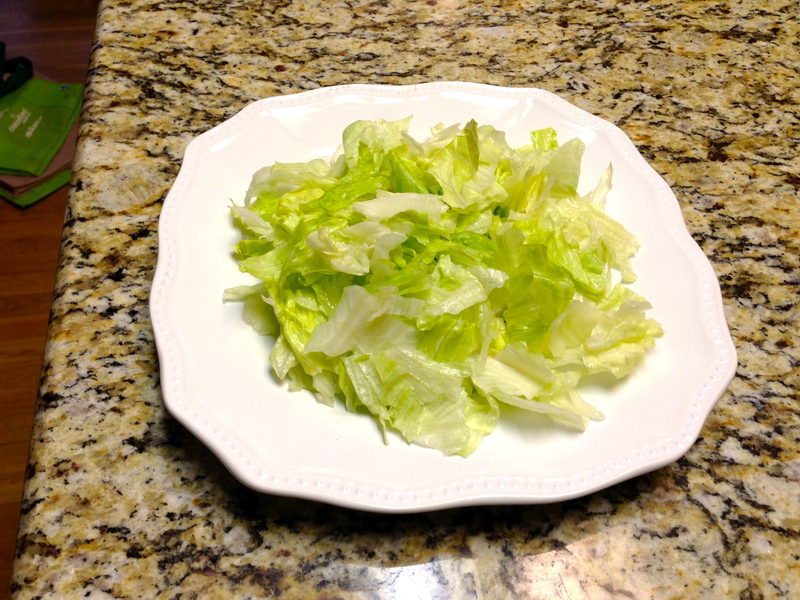 Break lettuce up into bite-sized pieces and place in taco bowl or on plate. 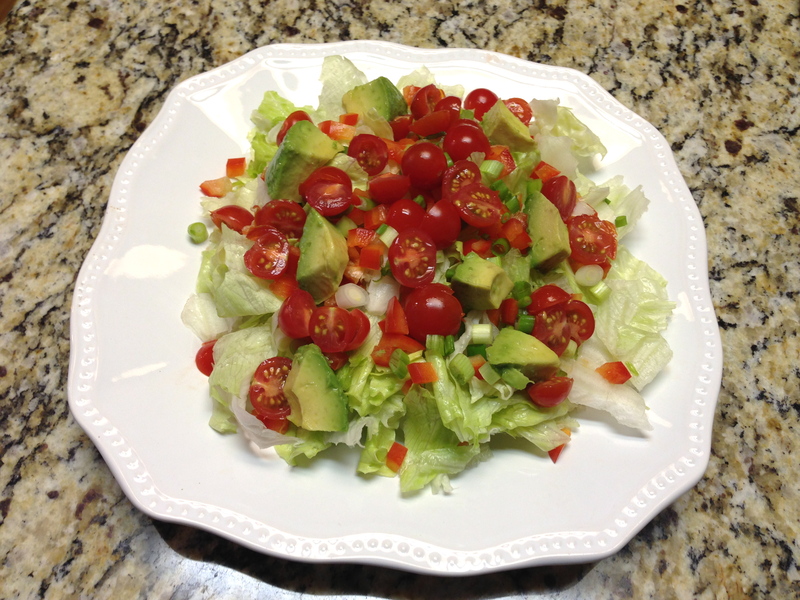 Add tomatoes, green onions, red pepper and avocado. Then add cheese, olives and sour cream.